Apart from the regular sports in the school, we are also associated to Tenvic Group of Anil Kumble, where the coaches teach sports like Cricket, Badminton, Chess etc, to the students during the school hours. Miss. 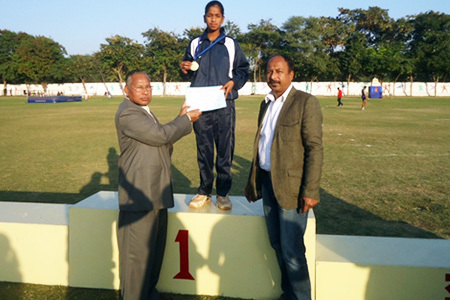 Shrinidhi Surgond of grade VIII secured 1st place in Nationals 1500 mt running in the CBSE National ATHLETICS Meet 2014-15. Held at Divine Child School Mehnasa, Gujarat from 8th January to 12th January 2015. She clocked 5 min 23 seconds to cover the 1500 mt running which is commendable.